C W Chandler designed and project managed the comprehensive refurbishment of existing 1970's sports hall. 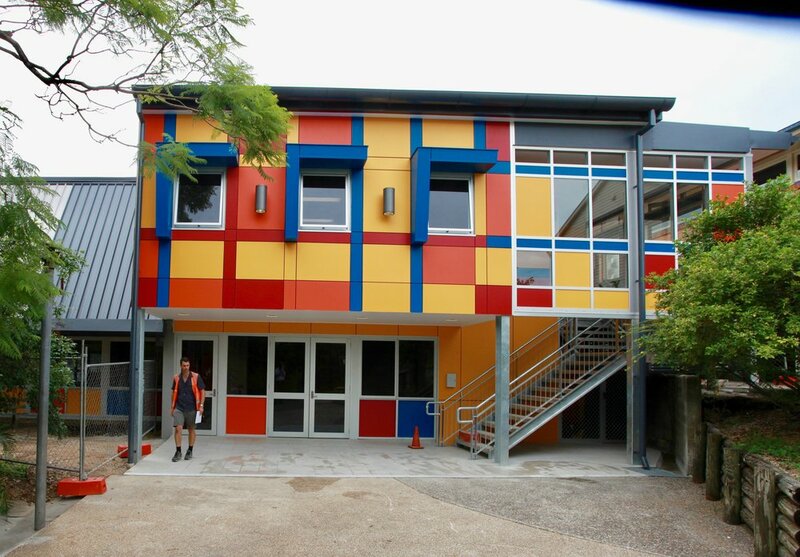 This was a simple, but crucial renovation for the Indooroopilly State High School. A new expressed truss runs across the width of the hall, forming the structure for the new mezzanine level that was inserted into the existing space. The sound & lighting control room sits as a bright, bold feature in the centre of the truss. This level included two new general learning areas, as well as a number of private teaching rooms, acoustically treated specifically for music lessons. Large roof ventilators were installed in the hall, as natural ventilation was a priority. 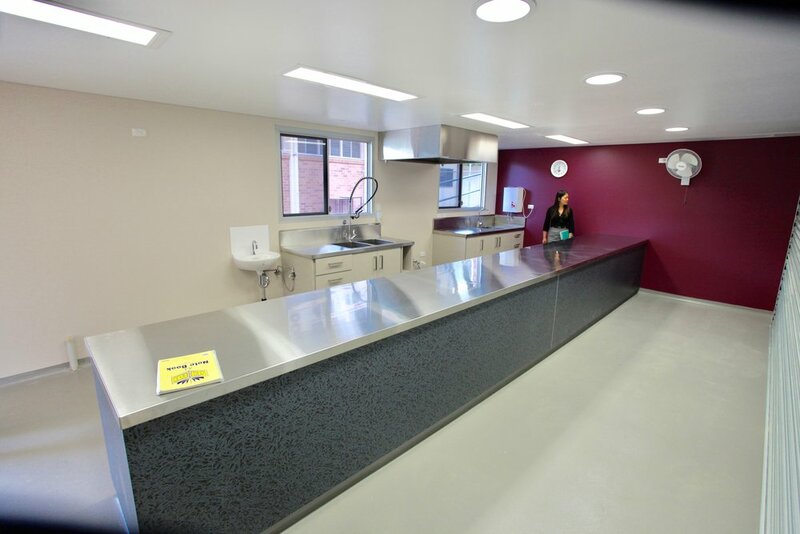 Beneath the mezzanine level sits the new canteen, storage spaces, staff rooms, and male, female and pwd toilets. Craig has maintained a strong relationship with the clients following this project's completion, and also designed and project managed the school's additions to the administration block in 2015-16. See that project here.